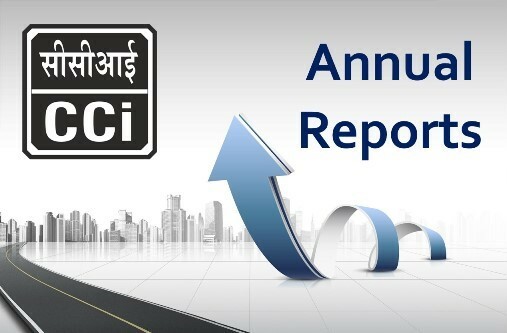 CCI is at present having three operating units with a installed capacity of 14.46 lakh MT per annum. In line with the advancement in cement technology CCI had been adopting the latest one with one million tonne plants at Tandur. Bokajan unit at Assam is under expansion. CCI with a strong & skilled work-force has always encouraged balanced regional growth with most of its factories located in underdeveloped/backward areas. CCI has also been contributing to the development of areas around factories by adopting nearby villages and providing the basic facilities like school, health center, drinking water etc. To emerge as sustainable cement company committed to contribute to the economy and to enhance value for the stakeholders. To improve the net worth of the company, inspiring employees in delivering an improved product and to aim for diversification in related fields. TENDER FOR GEOLOGICAL EXPLORATION INVOLVING FIXING OF BOREHOLES WITH DGPS, CORE DRILLING AND PRESERVATION OF CORES IN THE BOXES. TENDER FOR REPLACEMENT OF EXISTING MECHANICAL CEMENT PACKERS ALONG WITH OTHER ANCILLARIES. Construction of cement concrete retaining wall at the mine face of Mannal Line stone mine on shell benches. Transportation of Pond Fly ash from HPGCL Panipat to Rajban Cement Factory by Road. Annual Rate Contract for supply of manpower for Maintenance of Electrical Equipments. Know the latest status of man power of various operating units. This includes the executives, supervisors and non supervisiors. Its Our Constant Eendeavour to Improve Our Services and Procedures. In Case If you Have any Problem Against any Employee kindly Report it to us. Check with the Status of your Complaint now.